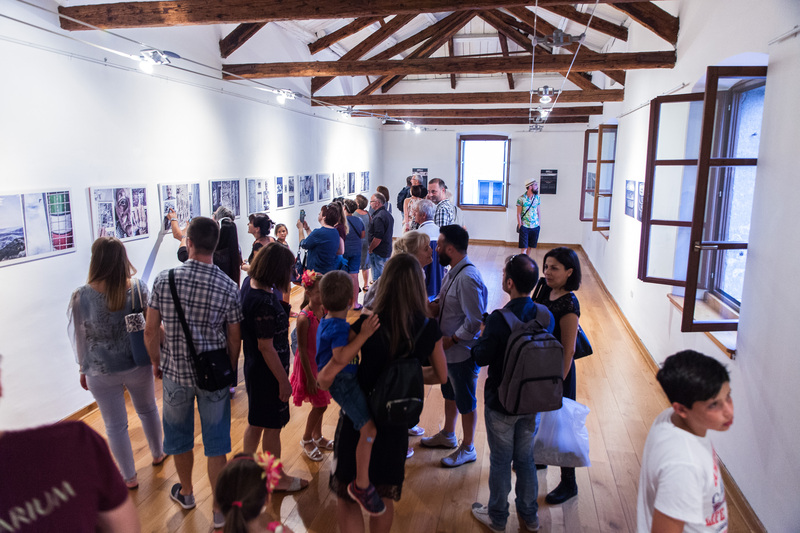 Great success for the opening of the first “travelling” exhibition linked to URBAN 2017 Photo Awards in Poreč Museum (Zavičajni muzej Poreštine), the oldest museum in Istria (Croatia). 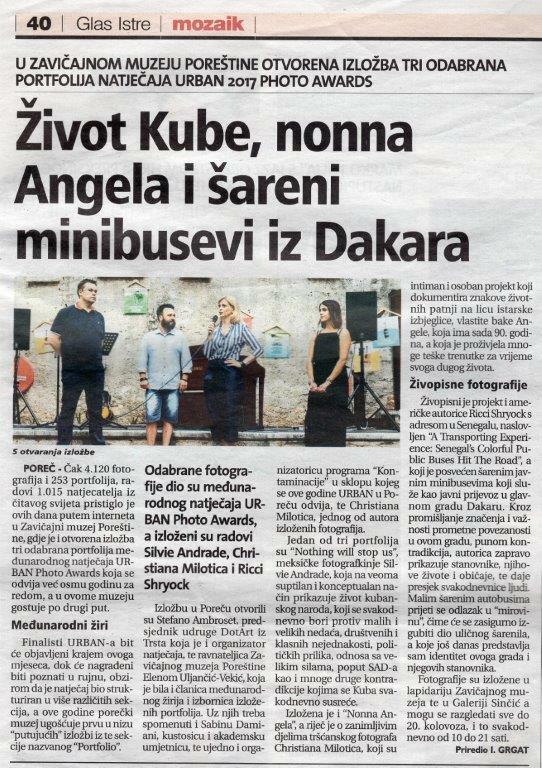 Check out here the galley of the opening. Thanks to Piolo & Max for the refreshments. “Nothing will stop us”, by Mexican photographer Silvia Andrade: the fight of Cuban people to advance against all the odds and ends. “Nonna Angela” (“Grandma Angela”), by Italian photographer Christian Milotic: the signs of a life of suffering on the face of an old Istrian refugee. “A Transporting Experience: Senegal’s Colorful Public Buses Hit The Road” by Ricci Shryock, American photographer who moved to in Senegal. A project dedicated to iconic colourful cars of public transportation in Dakar, Senegal. URBAN 2017 has seen 4,120 photos and 253 portfolios for 1,015 participants from all over the world. In addition to Italy: Belgium, Canada, Switzerland, Germany, England, India, Mexico, Poland, the United States, South Africa and many more. Finalist Photographers will be published by the end of July. Winners and Honorable Mentions will be announced in September. Exhibit will be open until August 20th, 2017. Opening hours: Monday – Sunday 10.00-21.00.